F. Hinds is a jewellers you may have come across on the high street, known for their trustworthy staff and quality jewellery, but did you know they have an interesting history, involving horror films? It all started in 1825 when Joseph Hinds opened a clockmaker's shop and soon with his skills at repairing clocks and watches, he became very successful. He trained his son George to work with watches and in 1856 he opened a shop in Paddington London. This is where F.Hinds was born. Over the next 50 years, several members of the Hinds family followed Joseph's example, opening shops throughout the capital, building up a reputation as a trustworthy family run company. By the turn of the century Joseph's grandson William and his great grandson's William, George and Frank all worked in the business. Unfortunately, William Hinds (Senior) died in 1915 and his son George was sadly killed in 1916 at the Battle of the Somme. Shortly after the first world war, brothers Frank and William divided the business into two. Now here is where it gets interesting - William went into the business of theatre and films, he was one of the two founders of Hammer Film Productions, the studio famous for horror films! Frank, however, continued with the jewellery business and eventually, in 1990, F. Hinds took over the one remaining shop owned by the other half of the family in Worthing, Sussex. Today they are celebrating over 160 years in business and the seventh generation of the family now works in the business too. 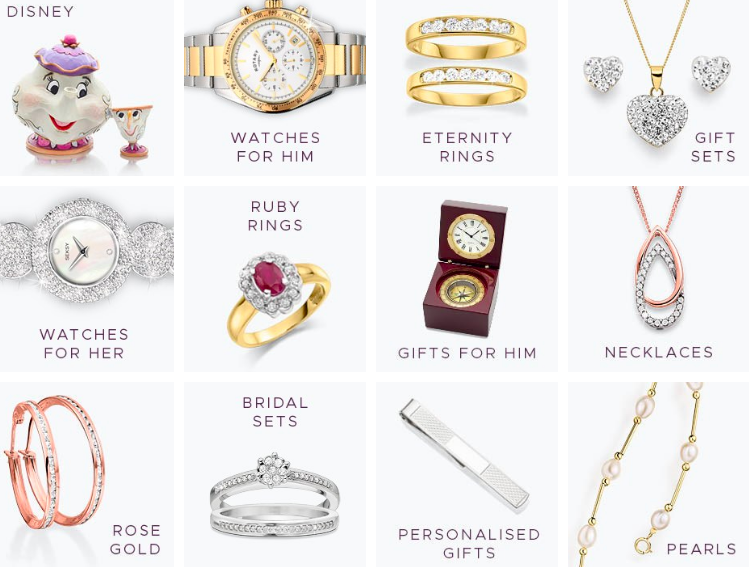 The company may have over 115 stores nationwide and is the UK's largest independent jeweller, but they still believe in quality and value. So here is the end of the history lesson and now I will show you some of my favourite pieces from F.Hinds this year. Watch out for their Black Friday sale from the 22nd of November to the 27th of November which has 15% off everything! These 9ct white gold heart earrings are so pretty with the diamond accent on the side. They are dainty too and easy to wear. These are the sort of earrings that can take you from work to a date or drink out somewhere smart. 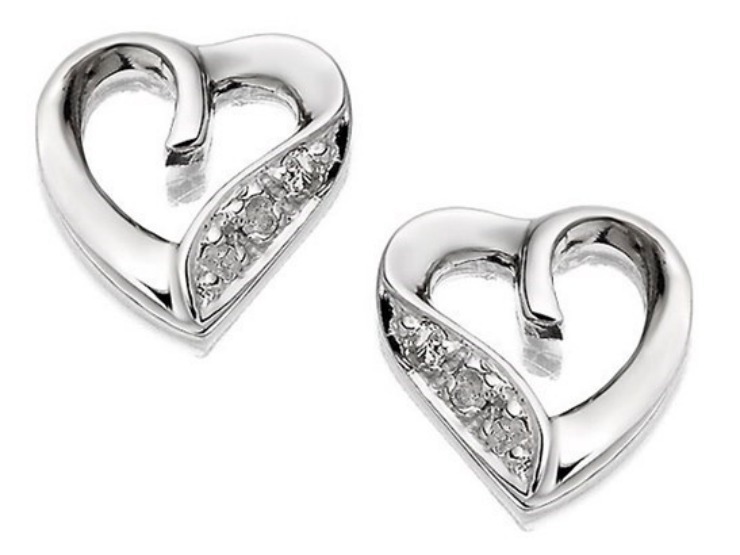 At £59.95 for white gold with diamonds, the price is hard to beat too. Check out the diamond section here. 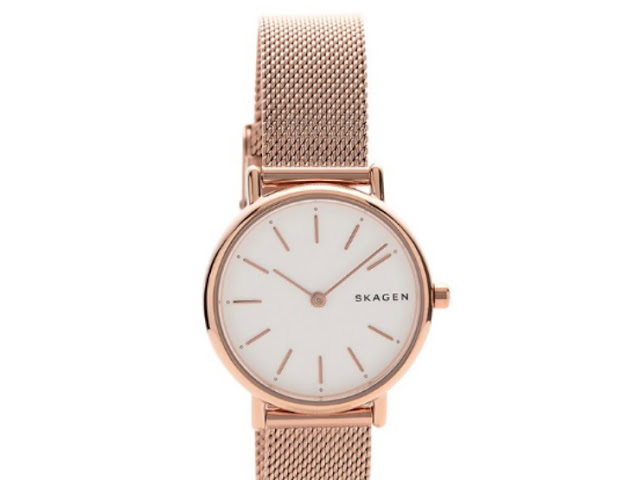 I have had my eye on a Skagen watch for a while and this Skagen Signatur watch (WO6134) is simply designed and just gorgeous in a rose colour finish. Not too big with a 30mm face, it's stylish and just screams luxury. RRP is £139 but at the moment it is on sale for £69. Bargain! Check out the watches here. 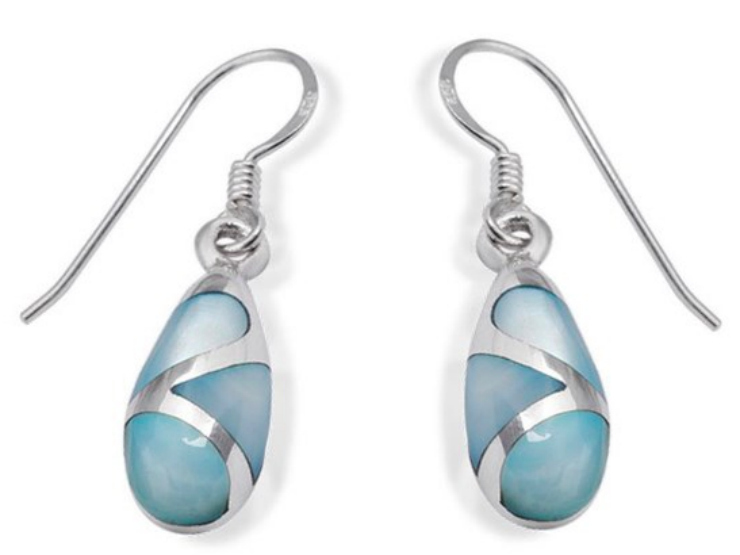 These sterling silver drop earrings would be perfect for my mum. They have tinted blue mother of pearl stones and a small drop. Priced at a very reasonable £24.95 they would make the perfect Christmas gift. Check out the jewellery here. 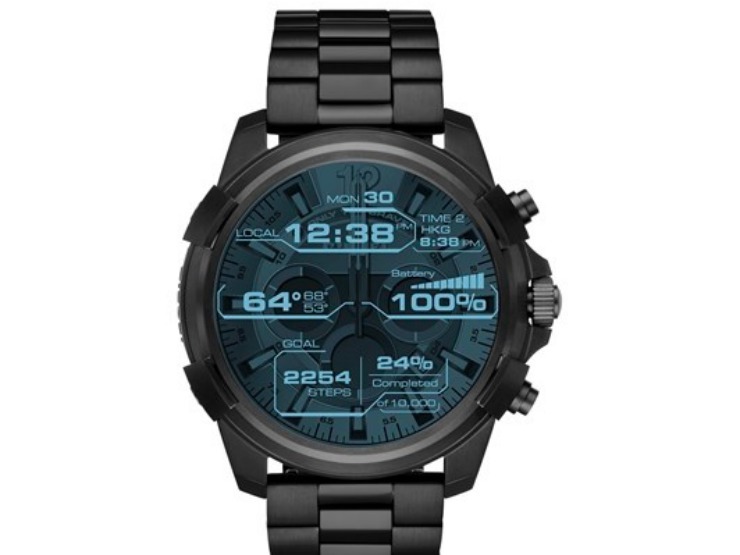 My husband would love this Diesel connected smartwatch (DZT2007). The high-tech functionality is really cool - it's touchscreen, connects with your favourite apps, and is compatible with Apple and Android smartphones. With built-in fitness tracking through Google Fit, you can view calories burned, steps and distance travelled, plus receive call and alert notifications at a glance. At £279 it's a great quality watch with many features and one my husband would love. Check out the watches here. 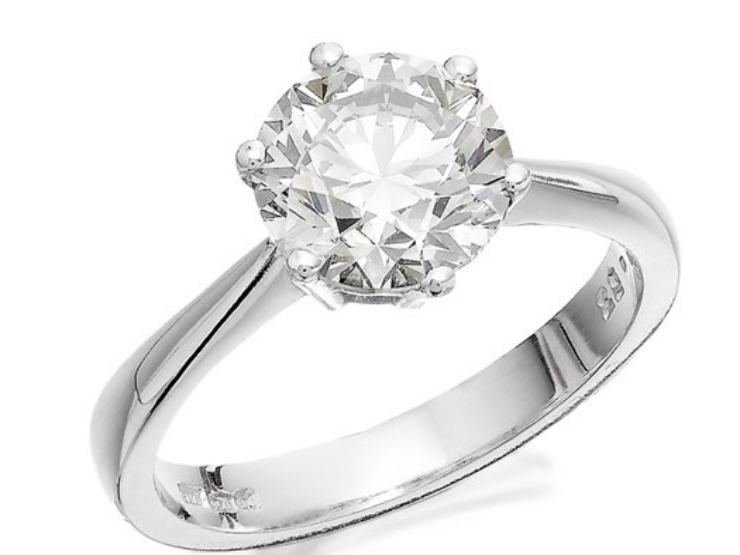 Ever since I lost my engagement ring I have been looking for a new one and this 2-carat diamond solitaire is just perfect. Set in platinum, the purest precious metal and with slimline shoulders, the diamond's beauty is shown off perfectly in the six claw setting. The diamond has been certificated by the Birmingham Assay Office and comes with its own certificate authenticating its quality. Normally priced at £9999 it's a stunning ring to treasure. Check out the diamond section here. As well as the Black Friday sale from the 22nd of November to the 27th of November which has 15% off everything there will also be a diamond saver event from the 28/11 to the 5/12 so you may get a bargain, I wonder if this 2-carat ring will be in the sale!? Let me know, which of these items from F. Hinds are your favourite? I need to get round to writing my Christmas list. I am pretty keen on same of the items you've featured actually! Some great bargains to be had in the sale at the moment Kacie. Some great watches in the sale. I love the Skagen one above. Yes I've seen some of the Disney items and they are lovely. I am loving all the items here. The Skagen watch is a beauty. Oh I love this, it's always good to hear more about a business. I love that watch! I have seen these jewellers on the high street and did not know they had such a histroy and a very intereresting one indeed.